Late on the 22nd, Digimon World Tour updated with an explanation of how participants are to win the previously-teased prizes at the Pittsburgh Digimon Celebration. 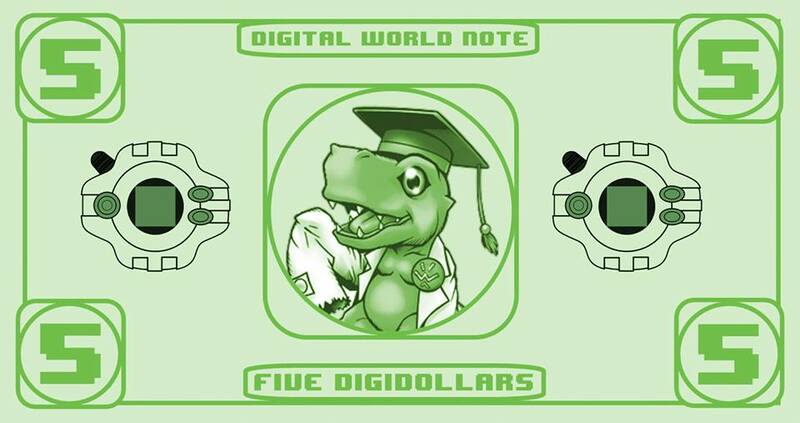 The Celebration will use its own official currency, the DigiDollar, which can be redeemed at the event's prize table in exchange for the prizes previously shown. DigiDollars are awarded to the winners of events at the Celebration. The grand prizes of the event--like the War Greymon D-Arts figure--are in the 5000 DigiDollar range, while smaller prizes like trading cards and keychains are in the 100~500 range. A partial exchange list has been posted to the Celebration's Facebook page. Digimon Celebration will take place at the Victory Pointe gaming lounge in Pittsburgh, Pennsylvania on February 6th, 2016. Tamer Union will be traveling to provide on-site coverage of the event. The event is being organized through Facebook, and currently 65 persons have committed to going. 150 others are "interested," and 344 invited. In addition to the gaming and cosplay events that day, the Celebration will feature artist duo Ramen Bento as a vendor, selling Digimon plush toys, stickers, and magnets. 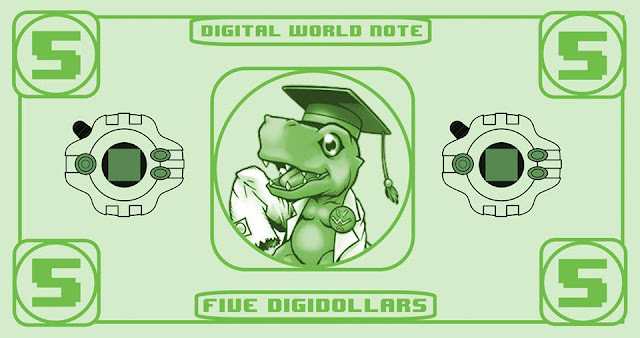 Up until February 3rd, fans can purchase commemorative Digimon Celebration T-shirts from Redbubble, and those that arrive wearing one will be awarded 200 DigiDollars just for attending.